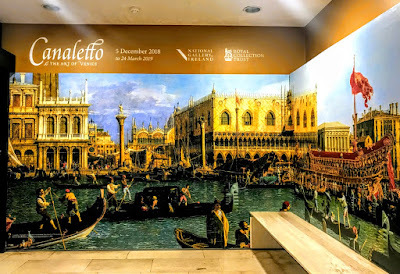 I spent much of Friday afternoon [14 December 2018] at the exhibition, ‘Canaletto and the Art of Venice,’ which opened in the Beit Wing at the National Gallery of Ireland in Dublin last week [5 December 2018]. Following last month’s visit to Venice, it was particularly interesting to see this exhibition, which includes a selection of the finest 18th-century Venetian works from Britain’s Royal Collection. 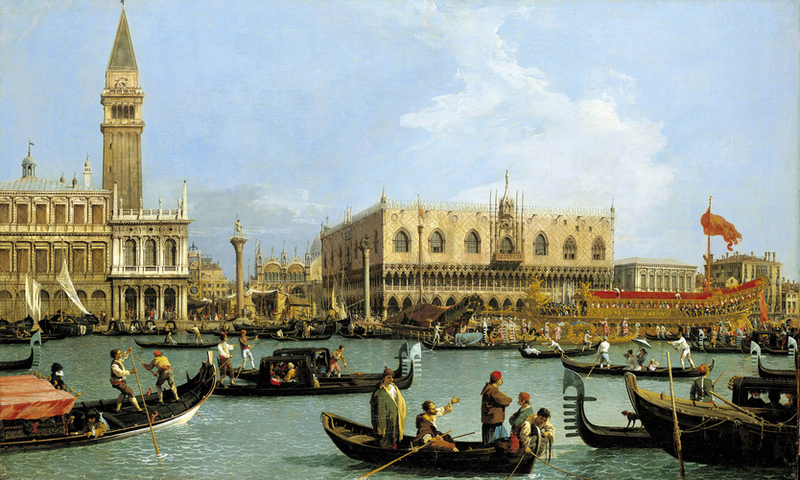 This year marks the 250th anniversary of the death of Canaletto. He was born Giovanni Antonio Canal in Venice on 18 October 1697, and is best known for his views or vedute of Venice, as well as Rome and London. He also painted imaginary views or capricci, although the demarcation in his works between the real and the imaginary is never clearly defined. Canaletto was also an important printmaker, and from 1746 to 1756 he worked in England where he painted many views of London. The exhibition includes paintings, drawings and prints by Canaletto are shown alongside groups of paintings and drawings by his contemporaries, including Sebastiano and Marco Ricci, Francesco Zuccarelli and Giovanni Battista Piazzetta. Most of these works were sold to George III in 1762 by Joseph Smith, the 18th century British Consul in Venice, who was a passionate collector, dealer and supporter of Venetian artists and Canaletto’s most enthusiastic patron. Canaletto died 250 years ago on 19 April 1768. The central painting in this exhibition is ‘The Bacino di San Marco on Ascension Day,’ ca 1733-1734. This depicts the great Venetian festival of the Wedding of the Sea, which took place each year on Ascension Day. The Doge was rowed out of the lagoon into the Adriatic in his ceremonial galley, the Bucintoro, and he dropped a ring into the sea symbolising Venice’s maritime power. In this painting, we see spectators in smaller boats excitedly watch the return of the Bucintoro in clear spring sunlight. The closing exhibit is ‘The Grand Canal with Santa Maria della Salute’ (1744). 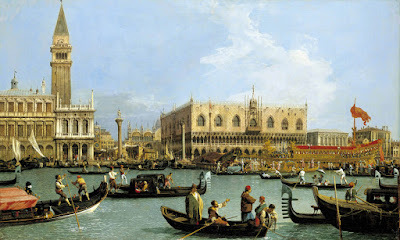 This is probably Canaletto’s last great depiction of this popular view. The church of Santa Maria della Salute, built by Baldassare Longhena (1597-1682) as a votive church after the plague epidemic of 1630–1631, is in shadow. A shaft of morning sunlight spreads across the water of the Grand Canal on to the buildings opposite, which are lower in height, accentuating the mass of the Salute. The magnificent view of the Salute is among the last paintings commissioned by Smith. In 1746, Smith arranged for Canaletto to travel to Britain, where he stayed for almost 10 years. In ‘San Geremia and the entrance to the Cannaregio’ (ca 1726-1727), Canaletto raises the height of the Palazzo Querini compared with the Palazzo Labia opposite. The Cannaregio canal is opened out to make the waterside façades visible on both sides. The bridge is brought closer and the buildings enlarged in the Ghetto beyond. 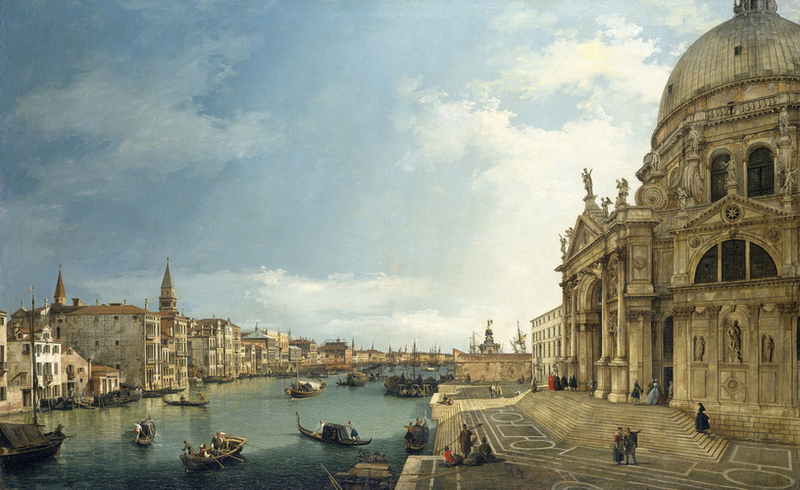 In ‘The Grand Canal looking west from the Palazzo Vendramin-Calergi towards San Geremia’ (ca 1727), Canaletto eliminates the curve of the left bank of the Grand Canal to make buildings more visible. Many aspects of daily life are seen here, from the ships of commerce to the washing hung out, to the soberly dressed gentleman about to leave Palazzo Vendramin. His painting, ‘The Rialto Bridge from the North’ (ca 1726-1727), is located at the point where the Grand Canal makes a sharp turn, making it a natural place for a bridge. Canaletto enlarged the bridge in relation to the buildings and opened out the view to make a more pleasing composition. In ‘The Grand Canal looking south-west from the Rialto to Ca’ Foscari’ (ca 1724-1725), Canaletto narrows the Grand Canal but makes sure the buildings are visible with angled sunlight, giving a rhythmic recession of buildings on the left bank. In ‘The Grand Canal looking east from the Carità towards the Bacino’ (ca 1727-1728), we see the church, monastery and Scuola of Santa Maria della Carità, now the Gallerie dell’Accademia. Canaletto planned this view as a wide panorama from multiple viewpoints, and he eliminates some buildings along the right bank, while buildings on both sides of the Canal are reduced in scale. ‘The Grand Canal with Santa Maria della Salute looking towards the Riva degli Schiavoni’ (ca 1729-1730) shows the Church of Santa Maria Salute. Here, Canaletto brings the buildings of the Piazzetta San Marco into view and enlarges them. This collection of paintings, drawings and books was gathered together by Joseph Smith, the English merchant and diplomat who was Canaletto’s agent and who sold his collection to George III in 1762. As well as offering superb examples of 18th-century Venetian art, the exhibition offers a fascinating insight into the social circles and artistic networks of the period. The exhibition includes almost 100 works, paintings, drawings, prints and books. There is an interesting Irish connection with this exhibition too. It is very likely that Canaletto was first introduced to Joseph Smith by the Irish playwright, theatre impresario and art dealer, Owen McSwiney (1676-1754), who was born in Enniscorthy, Co Wexford. McSwiney – also known as Swiny and McSwiny – was born in Enniscorthy in 1676. He was educated at Trinity College, Dublin, and moved to London where we was working at the Drury Lane Theatre by 1703 with Christopher Rich. He adapted Molière’s L’amour médecin as The Quacks, staging it at Drury Lane in 1705. But McSwiney and Rich were evicted from Drury Lane by William Collier in 1709. Meanwhile, McSwiney had leased the Queen’s Theatre in the Haymarket. But, despite initial success with plays and opera, Collier’s court intrigues led to McSwiney’s bankruptcy by January 1713. 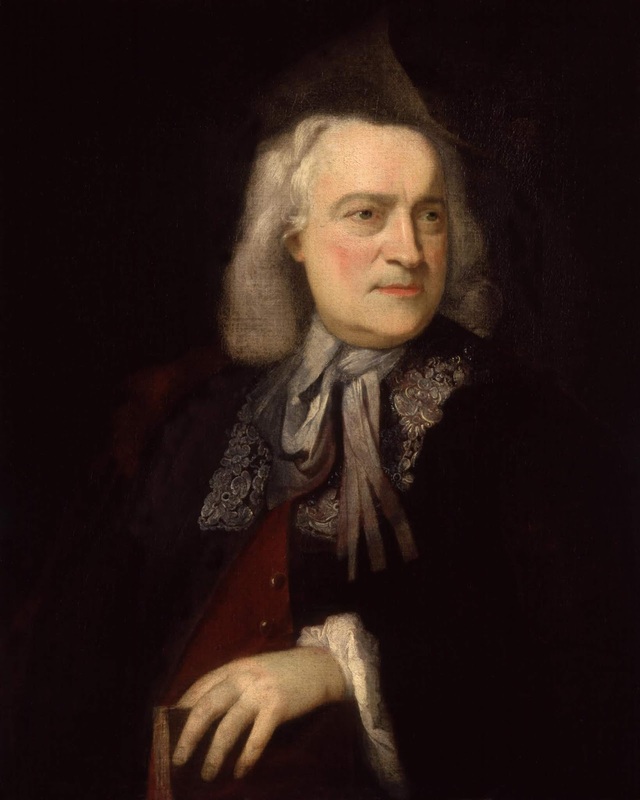 He went into exile first in France and the Netherlands, and by 1721 he had settled in Venice, where he worked as an agent signing Italian opera talent and works for the London stage and commissioning works from Italian artists for collectors in England. 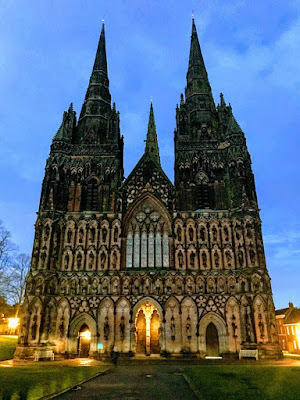 Those collectors and patrons included Charles Lennox (1701-1750), 2nd Duke of Richmond, whose daughter, Lady Emily Lennox (1731-1814), or Emily FitzGerald, Duchess of Leinster, was the mother of Lord Edward FitzGerald. In 1722, Canaletto was among the artists commissioned by McSwiney on behalf of the Duke of Richmond to produce a series of allegorical paintings. At the time, McSwiney was lodging in Joseph Smith’s home on the Grand Canal in Venice, so it is possible this Wexford exile is the link between Canaletto and Smith. After two decades in exile, McSwiney returned to London around 1733, and was appointed to posts in the Custom House and as storekeeper at the King’s Mews. The Lichfield-born lexicographer Samuel Johnson sought information from ‘old Swinney’ for his biography of Dryden. McSwiney died in London on 2 October 1754 and was buried in Saint Martin-in-the-Fields. His estate was left in trust for the actress Margaret (Peg) Woffington. Two publications complement this exhibition: a full-length 400-page hardback catalogue and a mini-booklet featuring selected highlights. 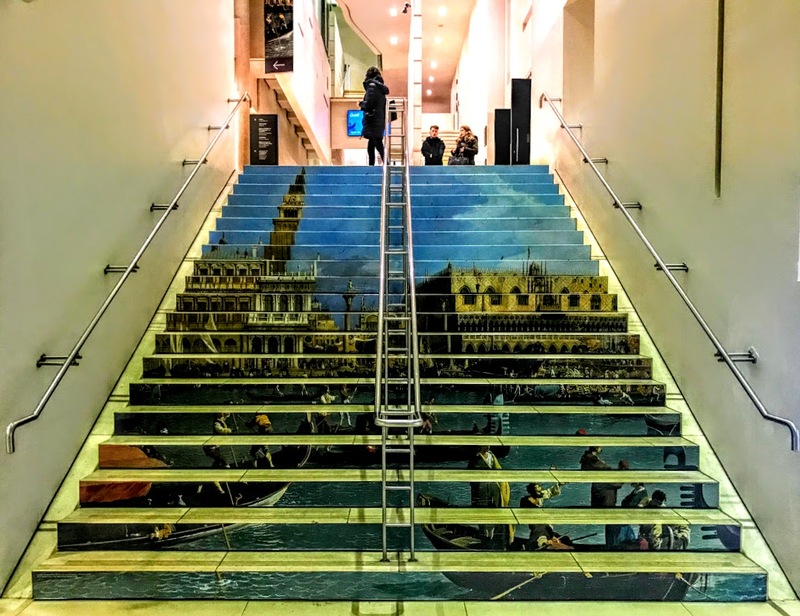 ● ‘Canaletto and the Art of Venice’ continues at the National Gallery of Ireland until 24 March 2019. Pray that the Anglican Communion might be a pioneer among churches in championing the rights of women. Today’s suggested reading is Matthew 17: 10-13. Pray for all who make a stand for what they believe and suffer as a result. Remember all persecuted for their faith. Pray for courage to be true to Christ. Sirach 48: 1-4, 9-11 or II Kings 2: 9-12; Psalm 80: 1-4, 18-19; Matthew 17: 10-13.